We configured our filters for our test patient, Joe. 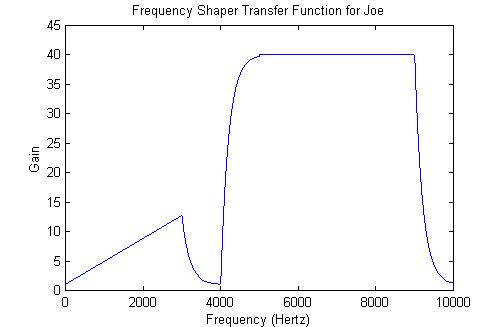 In order to create the gain filter for Joe, we used the concatenation of piecewise functions that change at f = 3000,4000,5000, and 9000 in hertz. 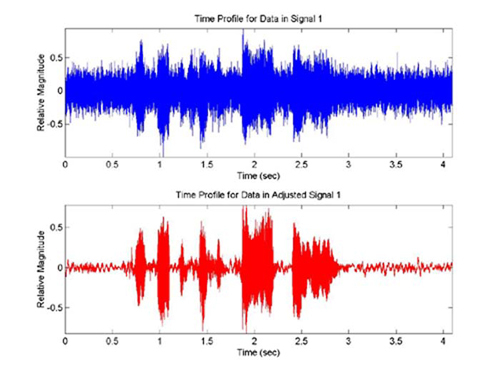 DFT coefficient that it corresponds to. 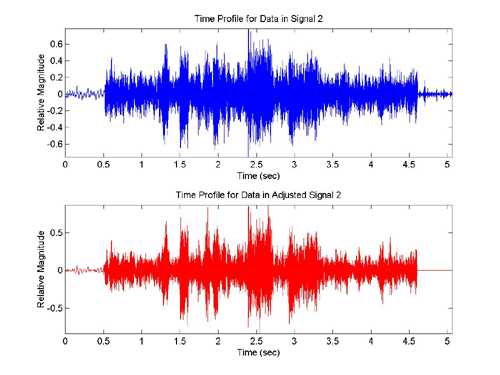 Comparing the graphs of the original signal and the filtered signal, we saw that the amplitude of the noise in the signal was noticeably reduced. 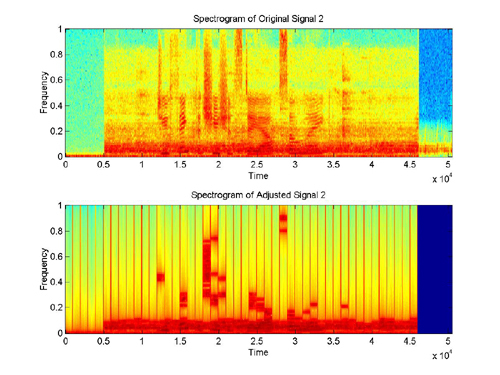 We also compared the spectrograms of the two signals and saw that the speech signal was stronger and more recognizable. 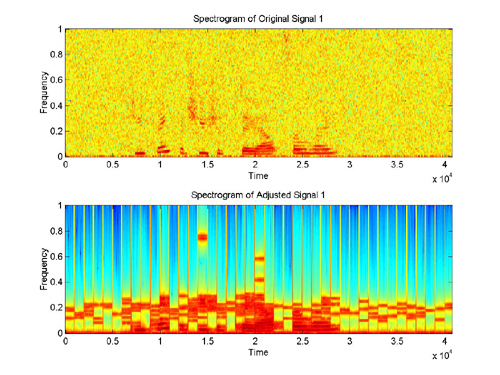 Our group also listened to the signals and agreed that there was a definite difference.